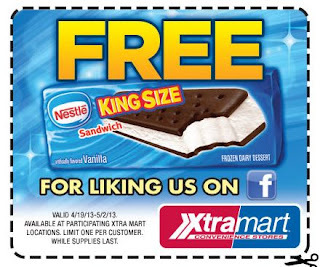 Free Nestle King Sized Ice Cream Sand which at Xtramart. Click the link below to get the coupon. Print the coupon and take it to your nearest store to redeem. Offer valid April 19, 2013-May 2, 2013.